The world is up in arms over U.S. President Donald Trump’s announcement last week to recognize Jerusalem as the capital of the Jewish state of Israel. People are bracing for violence. No city stirs passions like Jerusalem! It is remarkable to see this city continually in the news. But when you understand the Bible’s prophecies, you know why this is the case. The truth is, no city stirs God’s passions like Jerusalem! This city is extremely important to God—like no city on Earth. Many people are saying this announcement destroys the peace process. But the peace process has been a farce from the beginning! It has been a deadly “wound” to Israel (Hosea 5:13). 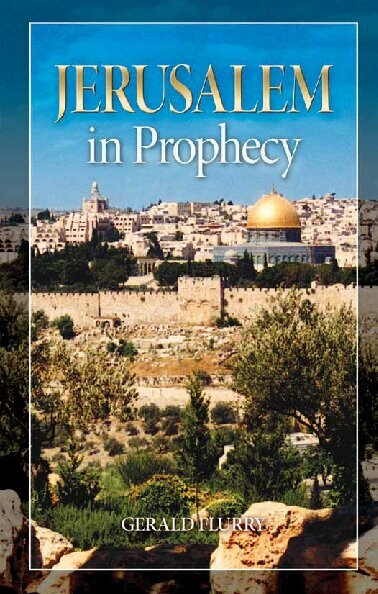 Prophecy shows that Jerusalem’s eruption into violence will be the trigger for end-time events. You can read about this in my booklet Jerusalem in Prophecy. This move by the Trump administration could hasten that violence. We need to be watching closely for the fulfillment of these urgent end-time prophecies! God says Jerusalem will be a “burdensome stone” and “all that burden themselves with it shall be cut in pieces” (Zechariah 12:3). In a sense, you can see this fulfilled to a certain degree today. Every effort to solve the impasse over Jerusalem has ended in failure. Jerusalem means “city of peace.” Yet if you understand the history of Jerusalem, this could be likened to a sick joke. This city’s history has been filled with rivers of blood. No city has had more bloodshed! No city has suffered like Jerusalem. It has known almost no peace! Jerusalem is a powder keg, loaded with nuclear potential! No city is so fraught with international tension as Jerusalem. That’s because man has ruled Jerusalem apart from God. It was in this city that Abraham sacrificed Isaac (though God didn’t make him go through with it). God’s emotions about Jerusalem run deep. It was this city that served as the capital of Israel under kings David and Solomon. And if you study into the Bible’s prophecies, you will see that God is going to make this city the capital of the whole world after the Messiah comes! Jerusalem is yet to dazzle the world with godly brilliance! The entire world will soon be looking to this city for leadership! In the end, God Himself will move His throne room there and establish new Jerusalem on Earth—and make it the capital of the whole universe!